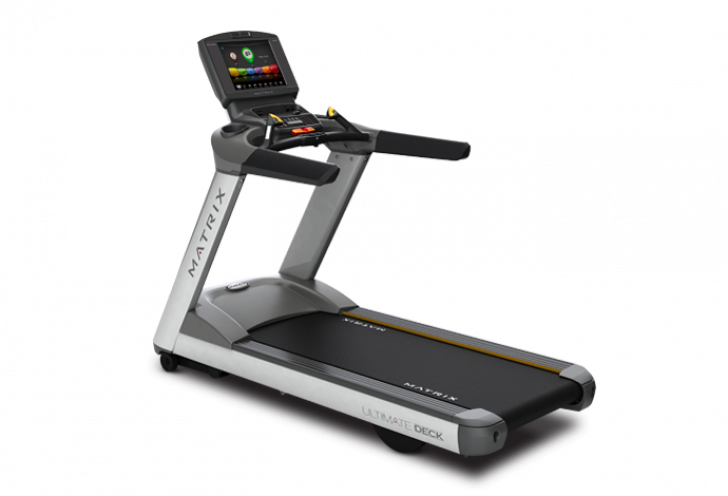 This Used Matrix T7XE treadmill is one of the major models of treadmills. This Used Matrix T7XE treadmill is one of the major models of treadmills. It is equipped with a powerful 5 HP motor along with patented Dynamic Response Drive system for monitoring and adjusting the speed according to user footfalls, providing more natural and smoother running experience. The console has a touch screen powered with patented FitTouch technology that provides a highly intuitive interface.